But it is totally worth it to read all the way to the end! 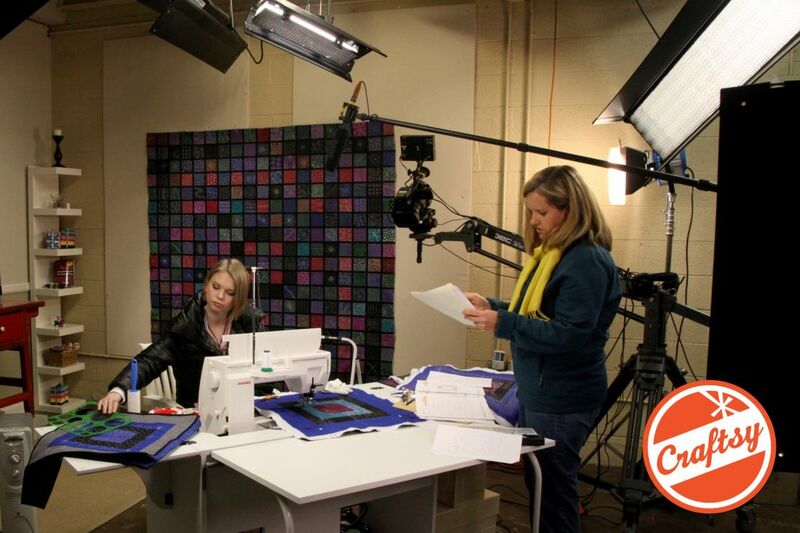 One of the best things about Craftsy has been the opportunity for me to meet so many talented industry professionals. Not only have I had the chance to meet and get to know them, but I’ve made many new friends through Craftsy! (If by chance you have not heard of Craftsy, I invite you to check it out. And I’ll provide the links to do just that later in this post.) One such talented lady is Leah Day, who has three awesome classes on Craftsy. 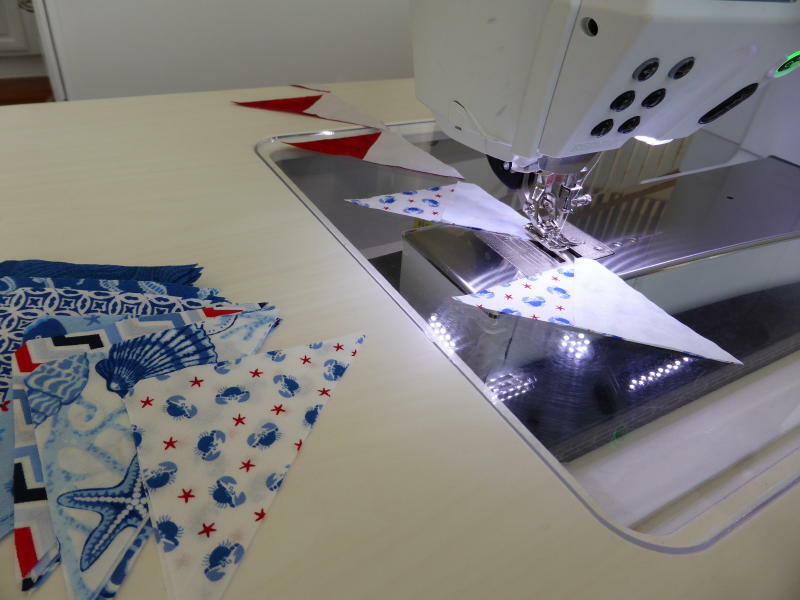 She is a talent extraordinaire, and is a major force in the quilting industry. Although we haven’t met in person (yet! ), we have “met” on webinars and conversed through countless emails. 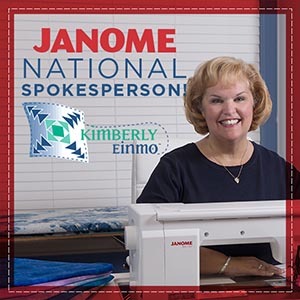 She is a true sweetheart and I admire her open heart, sense of humor and fun, and her creative and innovative ideas for all things quilting! We were introduced through Craftsy and have had a great time getting to know each other these past few months through messages and emails. In fact, we decided to collaborate on a joint project and host this FUN MINI BLOG HOP! The invitation is for you to “hop” from my blog to hers and visa-versa, and leave comments on both of our blogs for a chance to win a FREE CRAFTSY class! Exciting, don’t you agree? First, let me tell you a little about the joint project on which we collaborated. I sewed a Variable Pinwheel Star block with a flying geese border, which are techniques I teach in my Craftsy class, Magical Blocks: Out of the Box! I sent that little quilt top to Leah and she machine quilted it using techniques she teaches in her Craftsy class, Free Motion Fillers, Volume 2. 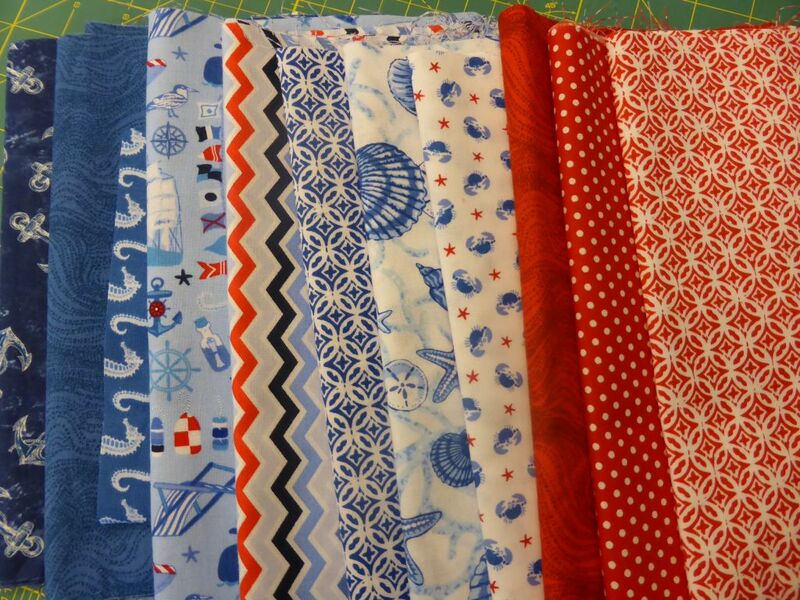 Once we decided on a plan, the first thing I did was to raid my fabric stash for some pretty fabrics to make the star. 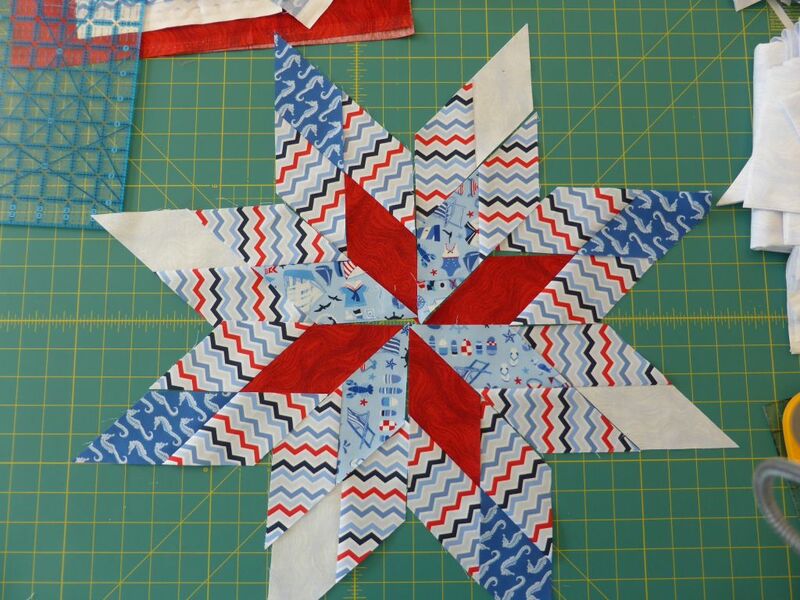 Before I pieced the star, I tested the placement of the fabrics to create a dynamic design. 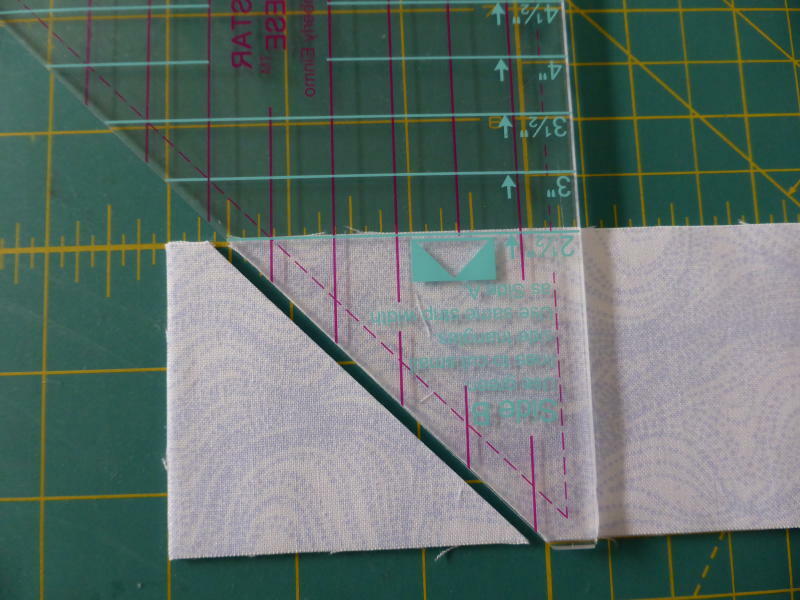 I used my EZ Jelly Roll Ruler to cut the diamond units (above) and my EZ Flying Geese Ruler to make the flying geese units (below). I love this method! You cut triangles from half or whole size strips using NO MATH, NO WASTED FABRIC and NO STRESS! If you’d like more information about my line of EZ Rulers, please check them out on my website HERE. I used EQ7 (Electric Quilt software) to create my quilt plan and I had lots of fun putting this little quilt top together! Chain piecing made the process fast and easy! Incidentally, for all you BERNINA owners, I just got the brand new presser foot #97D. OMGosh!!! 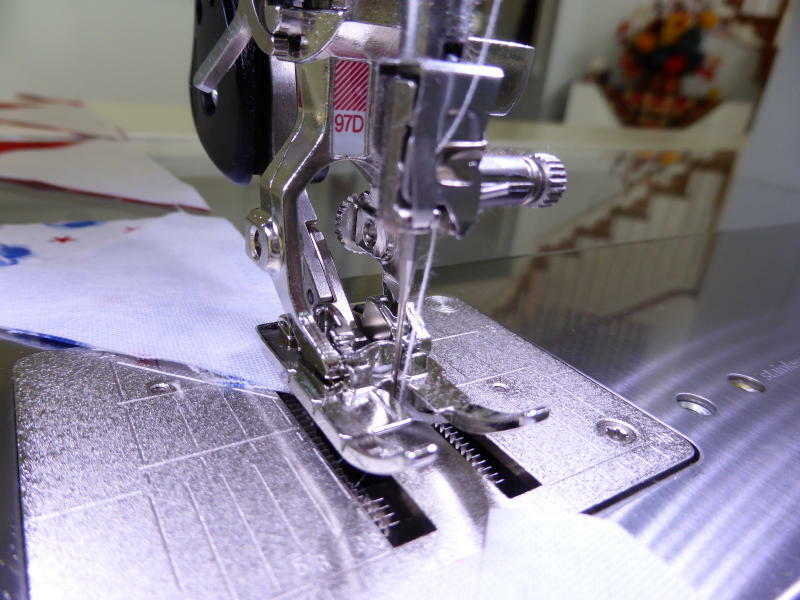 You need to race down to your local BERNINA dealer and get yourself this new piecing foot. 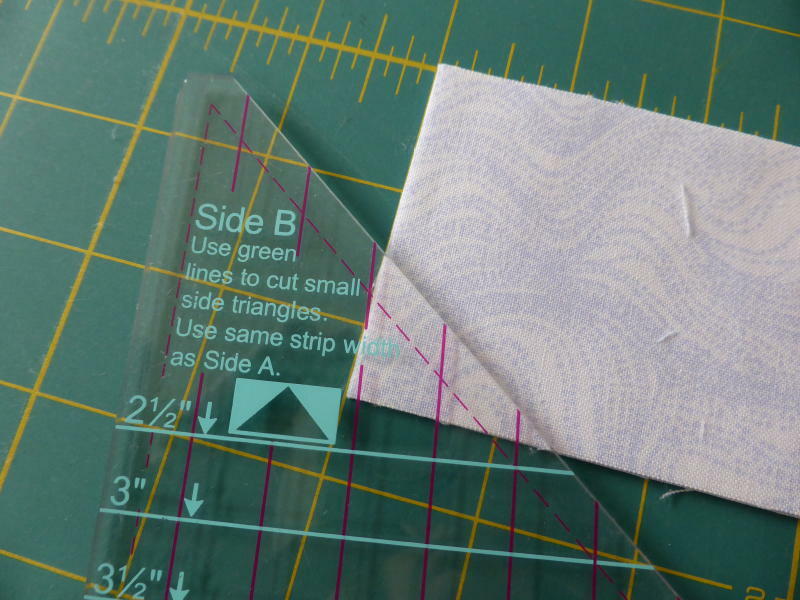 It is incredible and makes a huge difference when sewing that elusive, scant 1/4″ seam! Worth every penny, I tell ya! I love using my EZ Jelly Roll Ruler to trim the dog ears and make sure my flying geese units are absolutely trimmed to perfection! 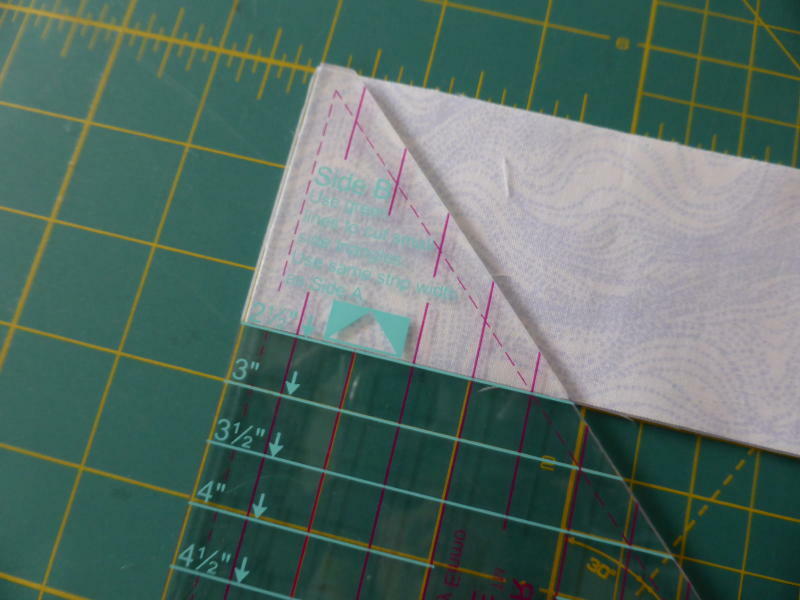 The best part about making flying geese units with the EZ Flying Geese Ruler is you end up with perfectly sized flying geese and a perfect 1/4″ seam allowance left so you never cut off the points ever again! Once it was sewn together, it was time to send it to Leah for her to add the machine quilted “frosting” to this cute little top! Would you like me to let you in on a little secret? Even seasoned professionals don’t always get it right the first time! Even though I initially thought I was happy with the color placement of the star fabrics, when it was all sewn together I wasn’t exactly as thrilled as I wanted to be and wished I had chosen another layout option. But by then, I was on a deadline and needed to get this top shipped to Leah. She got right to work on it and began trying some new quilting designs. Its a good thing to always keep your sense of humor! And when I saw what she had done, I almost choked from laughing so hard! We discussed it and then jointly decided that she should just keep going with her quilting. That it would all be fine in the end. And you know what? It turned out beautifully! Its funky, modern, dynamic, and totally interesting! So never fear! 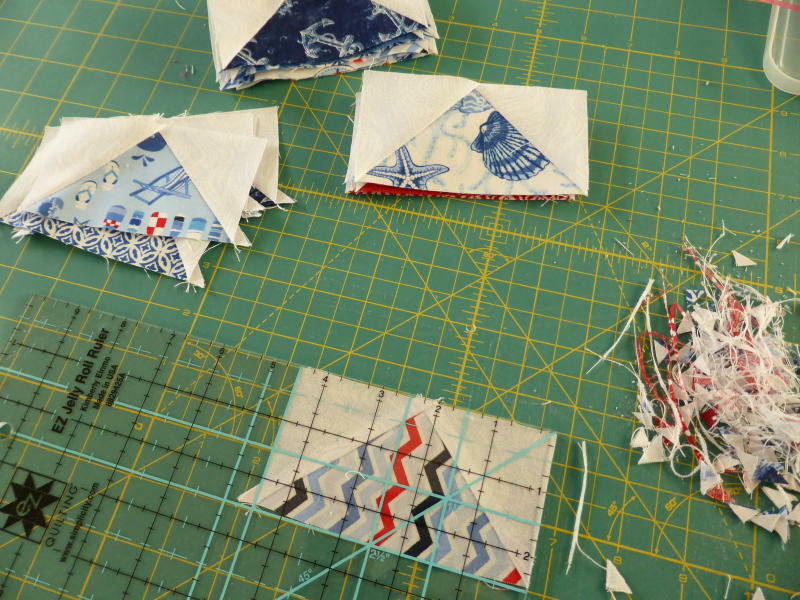 When you hit a major snag in your quilting just keep going and have the guts to see it through to completion! Above all, though…..Keep your sense of perspective and humor like Leah and me! We both like to work hard and play hard! And if you’d like to see Leah talk about something other than quilting, why not check out this cute video of her talking about making her Halloween costume this year? She’s going to be Princess Zelda! Click HERE. Leah has created some amazing video tutorials. 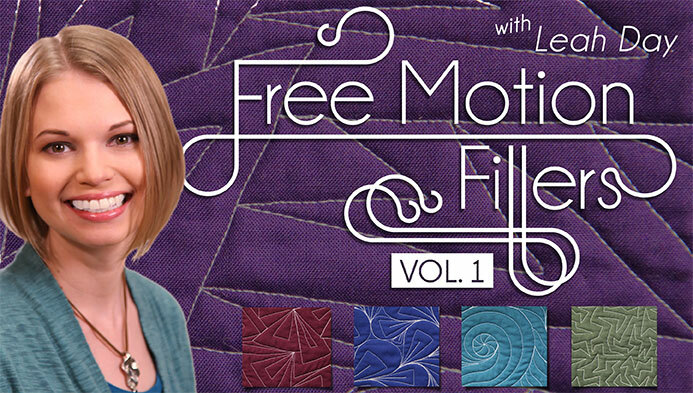 Did you know she has taped and posted more than 700 quilting videos? She is the author of several books (look for her books on Amazon.com) and she has three classes on Craftsy! In honor of this blog hop, here are some links with GREAT discounts if you sign up! I hope you’ll check them out and sign up for one or more! And if you haven’t already signed up for my Craftsy classes, I’m offering 50% discounts on ALL of them right now — in honor of this FUN MINI BLOG HOP! 50% off Magical Blocks: Out of the Box! Click HERE. 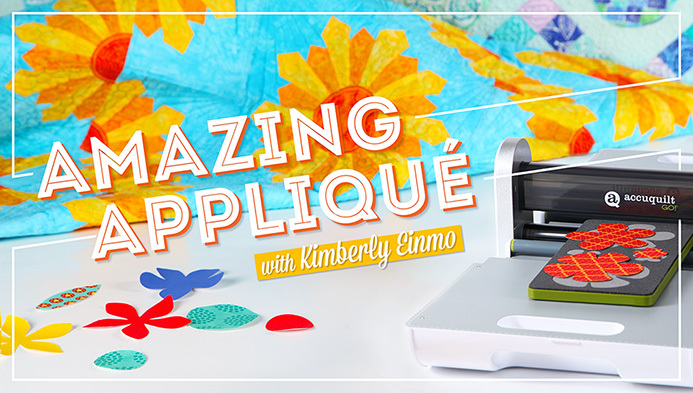 50% off my newest class, Amazing Applique! Click HERE. 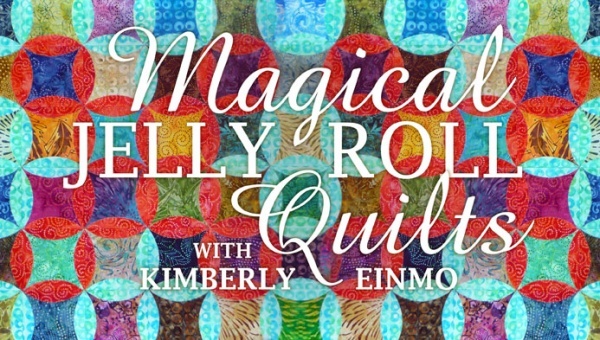 50% off Magical Jelly Roll Quilts! Click HERE. 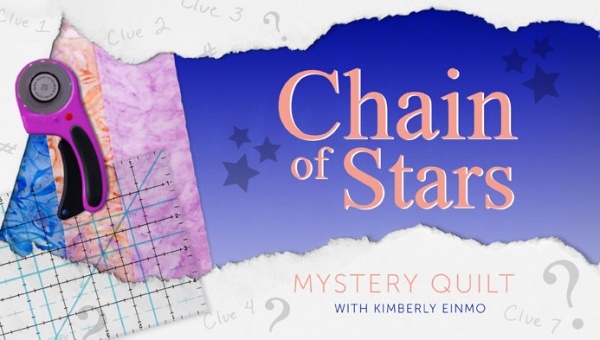 50% off Chain of Stars Mystery Quilt! Click HERE. And I invite you to check out all five of my books on my website, too. Click HERE. Its time for a giveaway! 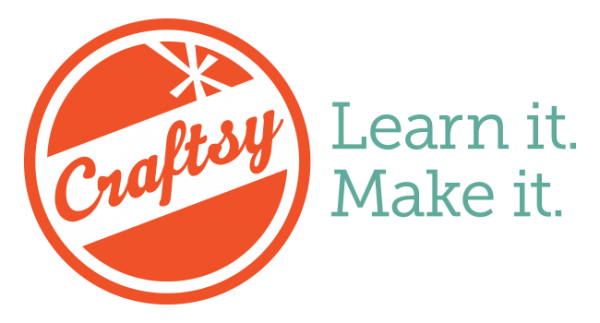 Would you like to win a FREE CRAFTSY class? Well, there’s 2 ways in which to win. Just leave a comment here on my blog and then hop on over to Leah’s blog and check it out! 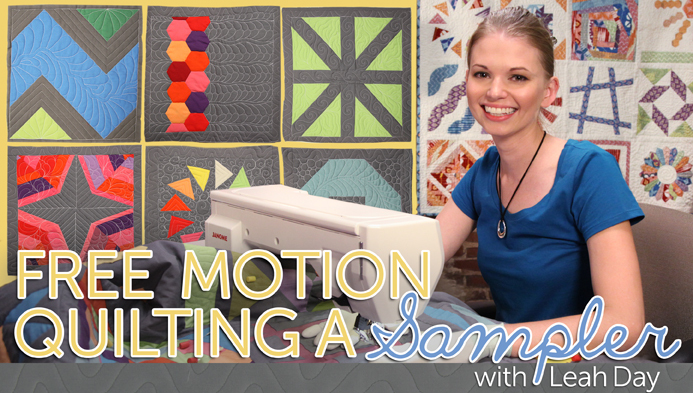 Be sure to leave a comment on both of our blogs for a chance to win a FREE CRAFTSY CLASS! We’ll choose winners on Tuesday, November 4th. Thank you so much for stopping by. If this was your first time to visit my blog, I want to sincerely thank you and invite you to come back again! And I hope you’ll “friend” me on Facebook and follow me on Twitter. I can be found on Facebook as Kimberly Wallace Einmo. If you’re a regular follower of my blog, I want to thank you for coming back again and again! I hope you had fun, because I sure had a great time putting all this together with Leah. Can you all just imagine what the two of us will be like when we get together in person? Oh geez…..look out world! When it rains it pours….and for me, the good stuff just keeps coming this week. (Yeah!) I want to share this cool link with you all to the blog for ROAD 2 California! I think you’ll enjoy learning a few more fun facts about me in this interview! I invite you to check it out HERE. Congratulations to Pat Smith, who is the winner of the drawing for a FREE Craftsy Class! And THANKS to ALL of you who took time to read our blogs and left comments. I enjoyed reading each and every one of them! I hope you will drop back often to see what I’ve been up to! Kimberly, I’m a 1st time visitor here and look forward to coming back in the future. 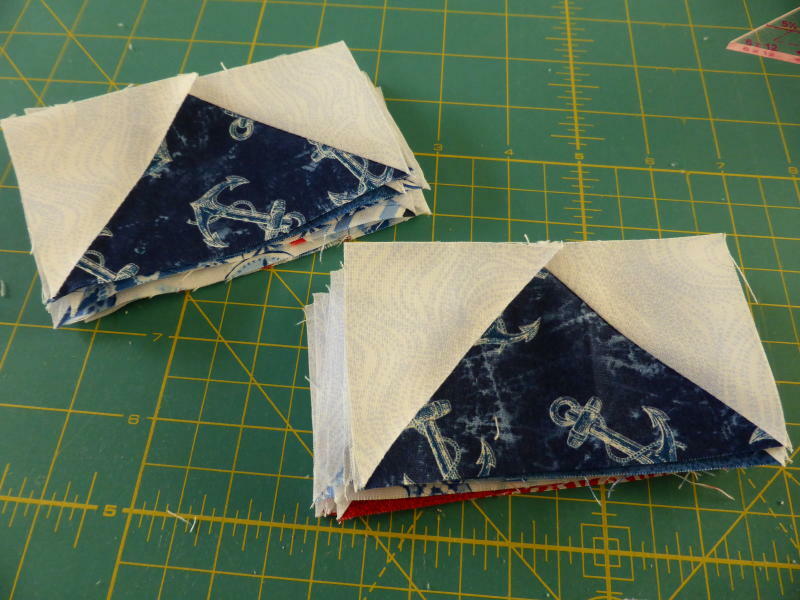 I’ve hopped over from Leah’s blog to check out the piecing of this little “wiggly” quilt. 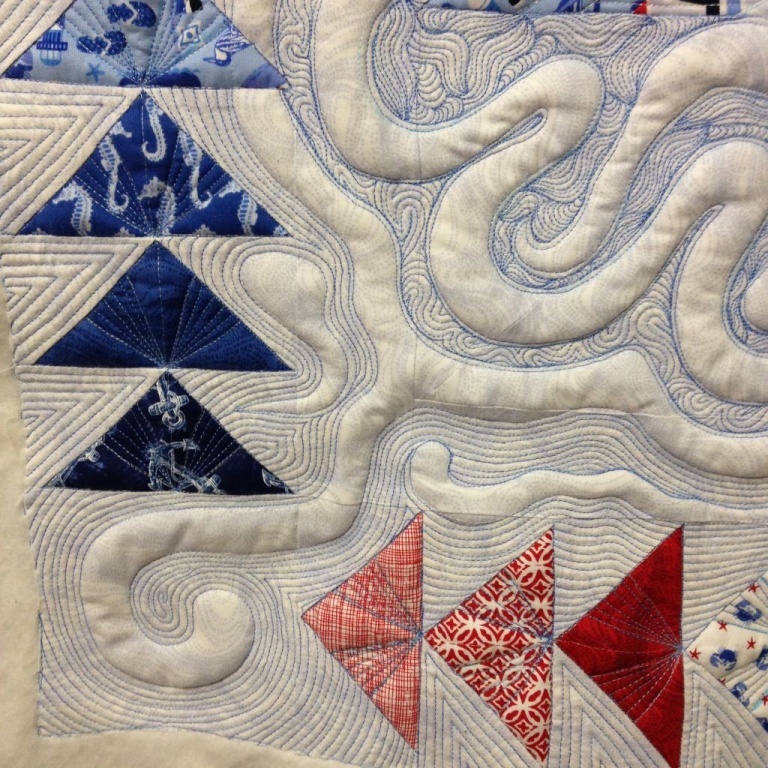 LOL I just love the design and Leah’s fabulous quilting. You two make a good team. Since I work full time, going to quilt guilds and classes are just not an option for me. Taking the Crafsty classes have been a God sent. Keep up the good work. Thank you so much for visiting, Janet! I’m so glad to “know” you through Leah! 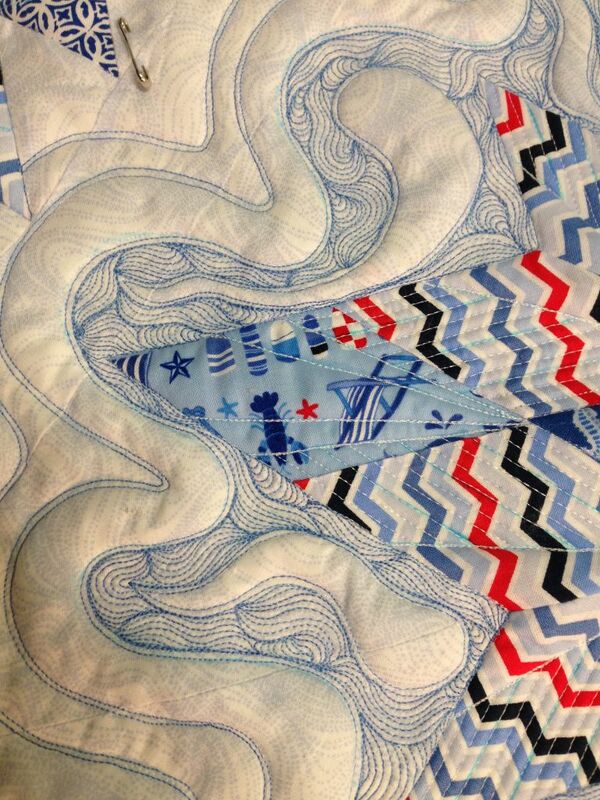 I like the quilt, I think it looks like the water and foam coming up on the beach. I think it would look good hanging on the wall of a beach house. Hi!! I’m a first time visitor and I’m anxious to see more of your work! From what I’ve seen so far, you are one amazzzzzing designer! I like the project you and Leah worked on and I’d love to see more from you both…as a unit! Maybe even do a whole book together!!!!??? Thanks for offering the FREE craftsy.com class! I’ve bookmarked your blog! First time on your blog…came over from Leah. That project looked like a lot of fun. Turned out nice, I think. 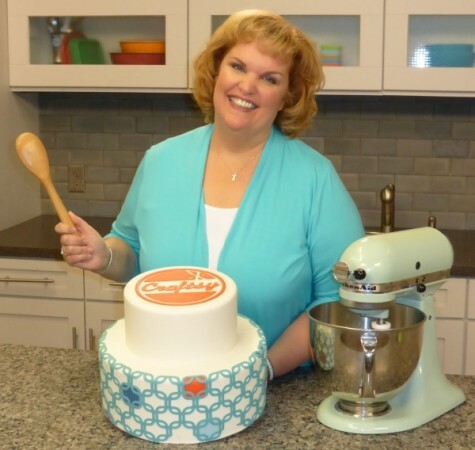 Thanks for offering a great giveaway …love Craftsy classes. I hope you and Leah collaborate again. Both of you have an awesome teaching style. As a mom of 8 (5 of my own, plus 3 bonus kids), I find it impossible to dedicate time for classes at a LQS (closest one is 1+ hours away). Craftsy and their incredible teachers have become my classroom. Kimberly, you have taught me precision in my cutting and piecing, being a neat-nik is a good thing, and most of all quilting is fun!!! Leah has showed me how to transform my imagination into thread and to fearlessly quilt my quilts. Thank you to you both!! Hope those sperm hit the spot….then you can look forward to at least triplets of finished quilts!! I am a total Craftsy addict. I have access to all of your classes and I love them. My first time visiting and excited to learn more about you and your classes. 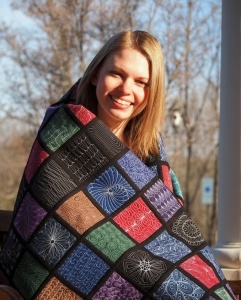 I have to say, if it weren’t for Leah, I would never have tried FMQ…she is such an inspiration! I am in your Craftsy class, and I’m a USAF wife (hubby’s retired). I just love Craftsy! 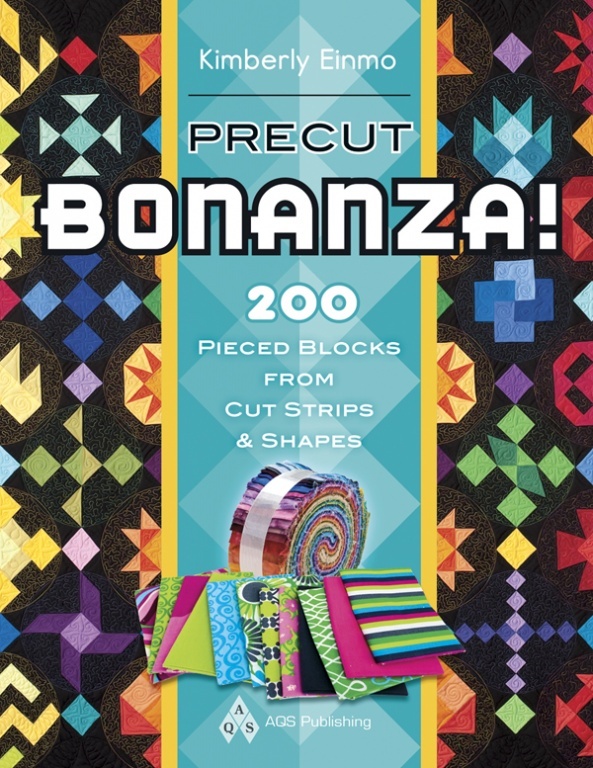 Thanks for the chance to win a Craftsy class! I came over to your blog from Leah’s, and from what I have seen on your blog I like your work! You two are a hoot! I like the how the quilt turned out and am no stranger to questioning my choices! I’m glad it turned out well! Great post! 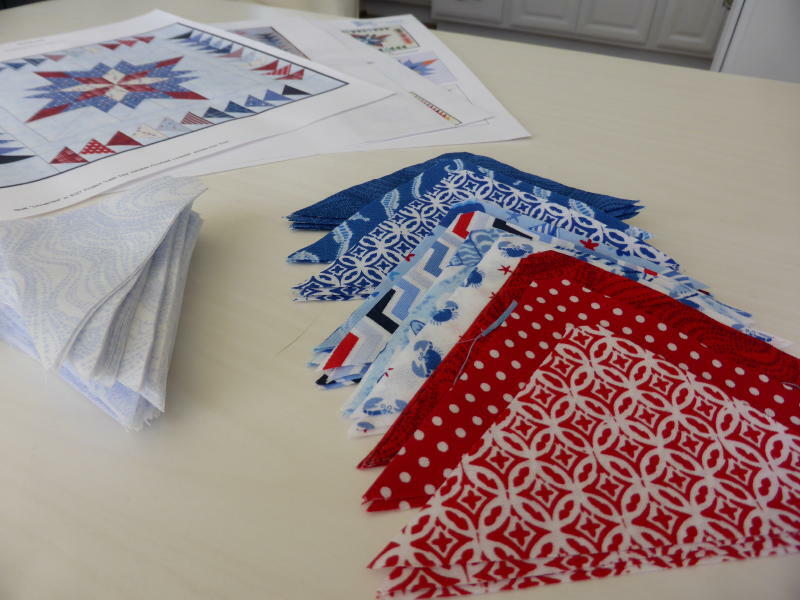 Can’t wait to meet you at our guild meeting (Shenandoah Valley Quilt Guild) next month! I’ll be taking the workshop! I’m making a maple leaf quilt right now with your EZ jelly roll ruler and love it. You are brilliant for coming up with those rulers! Beautiful. Sounds like you had lots of fun with Leah. Thanks for sharing. Wow! The two of you together on a quilt turned out awesome. Thanks for the chance to win a class. I would love to win a Craftsy class! But how to choose which one? i love your Craftsy classes, have taken them all. Blocks from Magical Blocks are on my design wall. Chain of Stars was donated to Sutter Cancer Center auction. I quilted it with Leah Day designs and confidence I’ve gained from her classes. First time on your blog. I will have to spend some time looking around. Love Craftsy classes! Thanks for the chance to win one. I saw the sperm in the quilt as soon as Leah said she “messed up” the quilt. It made me laugh, and I’m glad you were good natured about that too. I always worry about quilting in unintentional shapes! Your classes @Crafsty are amazing…..you have a awesome way of making one feel that they are right in your classroom. I also have a three of your books, they are treasured additions to book shelves. You truly are a talented lady…..thanks so much for sharing with all if us. Love the little quilt. Oopsies, OMG’s, mistakes, whatever are all part of the learning process. And in the end if you’re happy with it and Leah’s happy with it it doesn’t mater what anyone else thinks. Good job you two! Hi Kimberly, I came over from Leah’s blog. 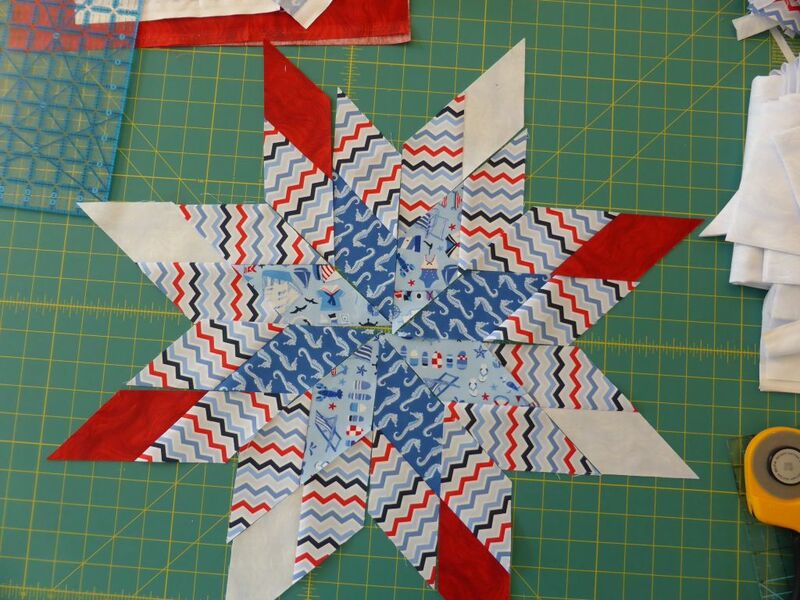 I love this star and I think it looks like it is floating just below the surface of water with the quilting. I am interested in taking your Magical Blocks class! I have it in my wishlist now! You two ladies made me laugh. I like the quilt and its secret swimmers! It’s really very nice…I see another quilt between the 2 of you…do share, looking forward to the second chapter! I would love to take one of your Crastsy classes. Hi! Nice to meet you! 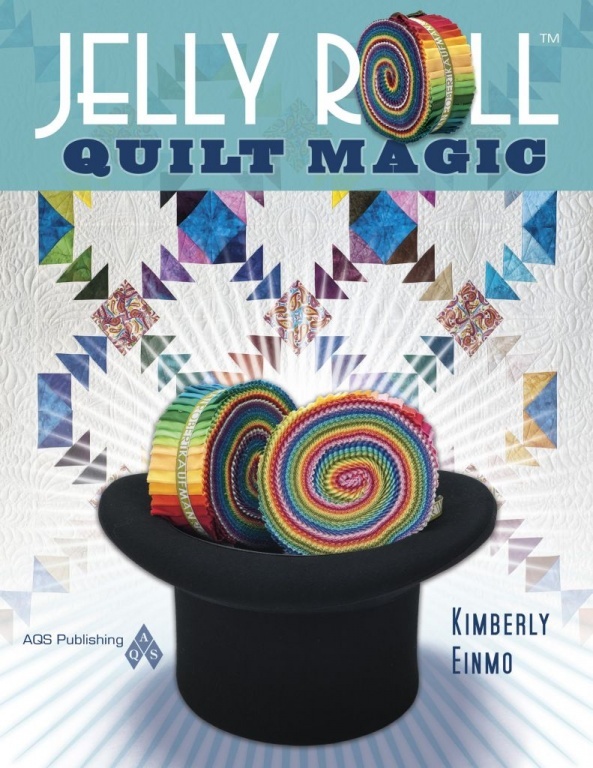 I’ve been wishing for your Magical Jelly Roll class on Craftsy for a while, so I’d love to win it! 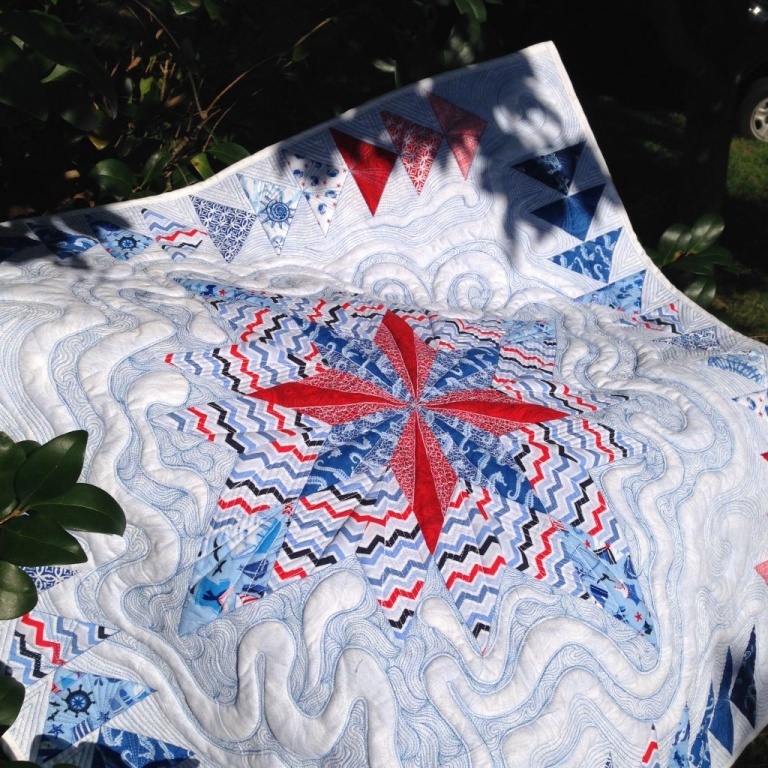 I love stars, so it’s always fun to see more star quilts! I am new to your blog and love the photos and all the quilting that you do. I enjoy crafty’s classes and hope I win another one. I will have to check out your classes even if I do not win. i am a big fan of your classes and Leah’s. 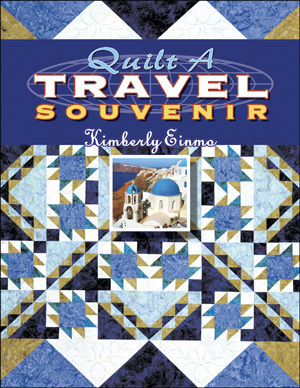 You both encourage me to have fun quilting and to push myself to create better quilts. Thanks! Keep creating! I think it turned out great in the end, and it’s the end result that matters. Oh yay! Thanks for the half off sale and the nice giveaway. I love your star quilt, sperm quilting and all! I really smiled when reading this funny post! Great inspiration. I got your flying geese ruler and thinking about my next quilt! Glad to see even teachers struggle with work not bring quite what it set out to be. I am unpicking a quilt I paid $ to have longarmed… Thanks for the chance to win! Oh my gosh, this post totally cracked me up!! I am a huge fan of both you, Kimberly, and Leah, and have taken several of your Craftsy classes. In fact, I have my Magical Blocks quilt together and have started quilting it. I am a relative newbie, and learned so much from that class alone! I am looking forward to all your Craftsy classes (and Leah’s). Thank you for the opportunity to win. Your mini quilt is great in spite of your worries, but the larger quilt is really lovely. love your comments! But, sometimes the sum od a quilt’s parts aren’t as gorgeous as the whole. Just shows, one must complete a project to appreciate its entire beauty! Good job and keep the comments rolling. Sincerely, Paula K.
just love your creative mind. 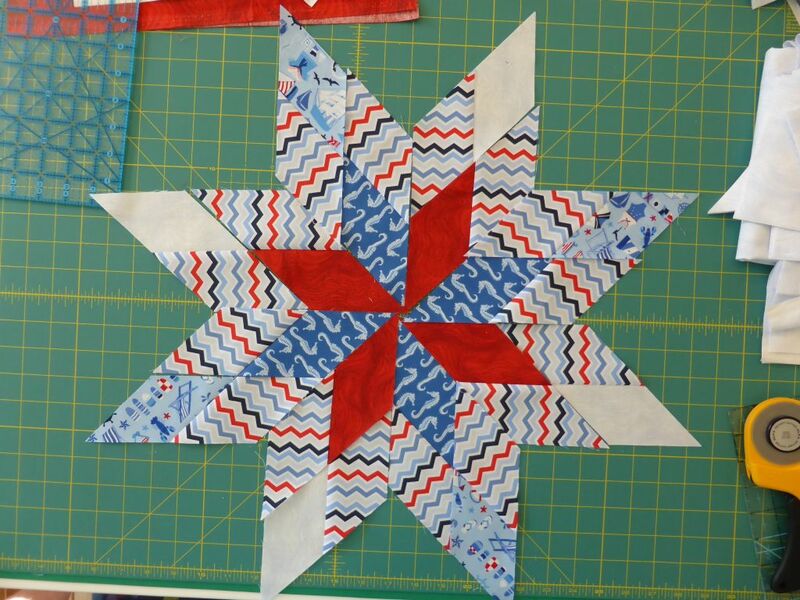 Continue quilting and sharing, you do such a great job with both! Sincerely, Paula K.
I love your Mini Quilt Creation. The coulors are beautiful and the design looks really modern. Leahs quilting design makes it unique! I think the quilt you made looks lovely despite the little mishap in quilting shapes!! I am looking forward to trying out that pieced star tonight! Thank you for the chance to win a Craftsy class. I love the fact that Craftsy has so many classes to choose from!! Keep them coming!! I love your collaborative quilt and I think the quilting texture is great (and a hoot!) Thanks for the giveaway. I love your humor. Where would we all be without it. I love this little quilt. I see what Leah was going for. Star in water. Not star in any other liquid. Love the Craftsy platform! I like the zigzag stripes in your star. I am not drawn to pick those fabrics but I always like the look in other’s projects. May need to step out of my comfort zone! I think your quilt is great! Love my craftsy classes. Thanks for the opportunity to win a free class. What a fun post and great collaboration. I love Craftsy! Thanks for the chance to win. Great Blog! Beautiful Quilt. Perfect pairing in your collaboration with Leah! 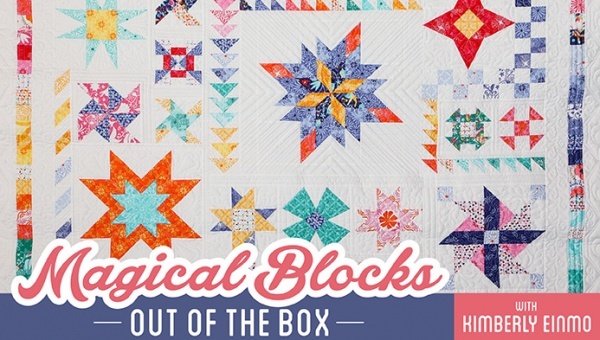 Can’t wait to finish my other projects and start Magical Blocks: Out of the Box! I love your sign, I used to go out at lunchtime from work and fondle fabric, very therapeutic. 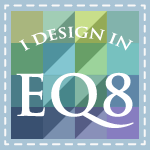 What happened with your EQ design to execution? 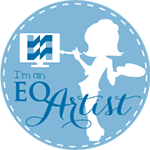 I love EQ for knowing what I’ll get before putting in the work. Thank you for a opportunity to win a craftsy class. All of this inspiration is putting me back in the mood to sew up a storm. Thank you for sharing this with all of us. Love the Craftsy classes. Thanks for the opportunity to win one! Love the way your quilt turned out! Would love to win a Craftsy class. I am sorry to agree that it does look like sperm. Oops. The quilt turned out marvelous. The colors are perfect and Leahs quilting amazing as usual. As I said in Leahs comments the two of you taught us to be creative and to love all we do. And I totally see the two of you working together – a great pair. Craftsy is one of my best friends. Your classes and books, as well as Leahs have provided much to me during these last two years and I know will continue to teach me for many more years to come. Thank you! HI, I like it! It is different, and sometimes different is great! I like your teaching of the different blocks in various ways. Nice to find another great blog. Thanks. 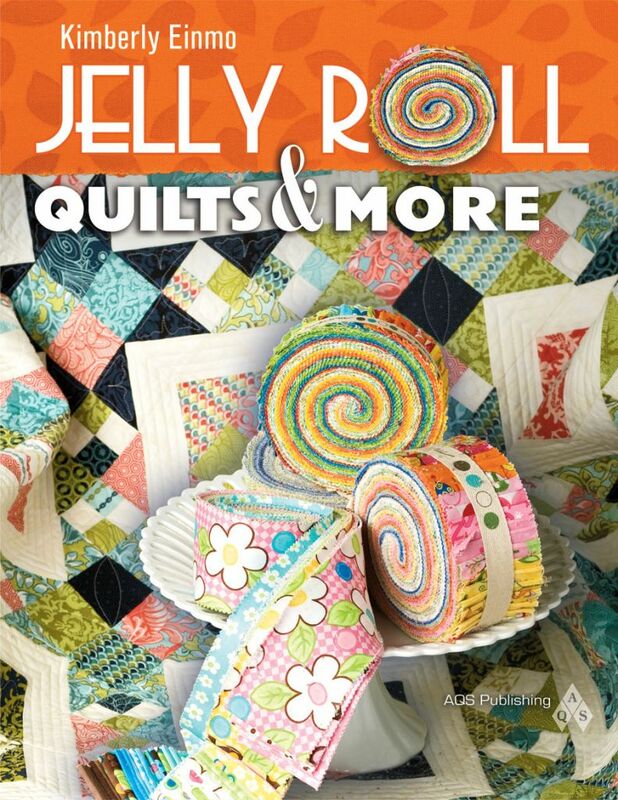 I have always admired your designs and I love jelly rolls but you and Leah combined are like the dynamic duo. 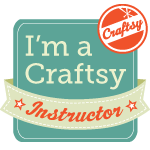 I love Craftsy and would be thrilled to win a free class!! Thanks for the opportunity! Hi. I can’t think of anyone else that would complement the work that you do. 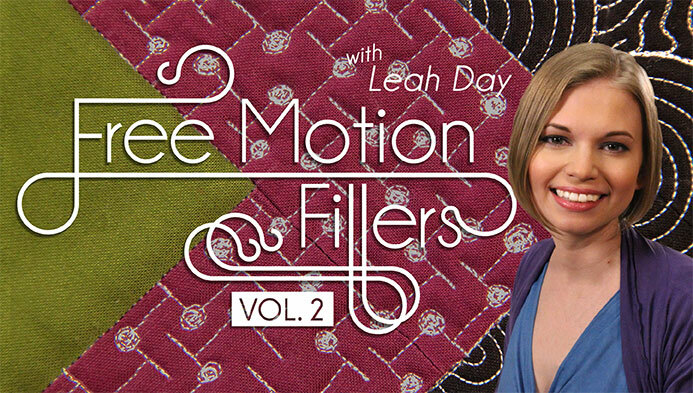 Leah has been a favorite of mine for ages and I have to thank her for amount of free motion quilting that I have managed to do in all sorts of different quilting situations. Your design is amazing and I look forward to more of your work. I love your classes and loved the sperm. I just bought my Go Baby so I am looking forward to learning the appliques. I love your quilt,,,and Leah Day? What can one say? Brilliant. I must admit “quilt sperm” was my instant thought too! Thanks for the chance to win. I think the quilt looks good, and you’ll always be able to look at it and laugh when you remember making it. Lovely quilt! Beautiful fabric choices! You never disappoint, Kimberly. I have all your books, and most of your Craftsy classes. 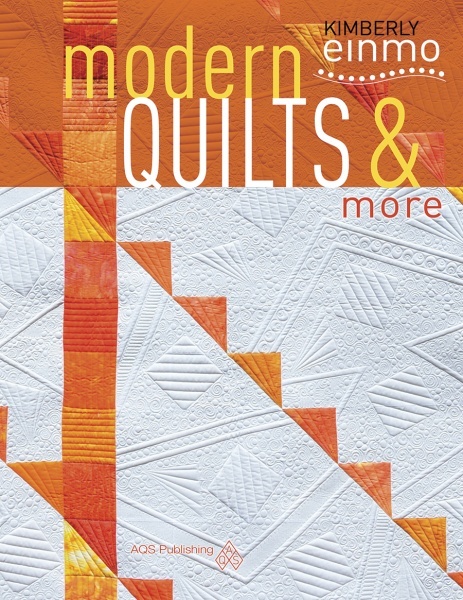 ( I just found out you have a Quilting Workshop coming in December! ) Yay! I’m not that familiar with Leah, but her work on your quilt is gorgeous! What a duo! I really love your quilt, I have never taken any of your classes but would love to. You nd Leah do wonderful things together. I am a new visitor here and I really love the quilt, I will definitely be popping in to see whats new. This is a great giveaway! I’ve been wanting to take this class. Thanks so much! Thank you so much Kimberly, what an awesome surprise! I enjoyed reading the Road to California article. Your Fire and Ice quilt is just amazing. Will be checking in on you often. Again, thanks for the Craftsy class. Will be a tough decision . . .
Would love the opportunity to win a class! Thanks so much! I have to say, when I clicked the link and saw the quilt, I was shocked and then could not stop laughing. I love this quilt and consider it a happy accident. Way too funny! # fertility quilt! Both you and Leah have taught me so much and I really enjoyed this blog. I am an amphibian lover – frogs and toads are so cute!! Why not call that little wiggler a tadpole? What a fun blog entry. Thank you. I have been following Leah for a few years now. Looks like you two work well together. I agree that at first you could mistake the little sqwiggle as a sperm, worm or whatever; but with the rest of the water theme I think it is sufficiently camouflaged. I have taken numerous Craftsy classes as here on Kauai it is not easy to get good teachers. I have even given some classes to family and friends. Craftsy is the “bomb” like the grand kids say. 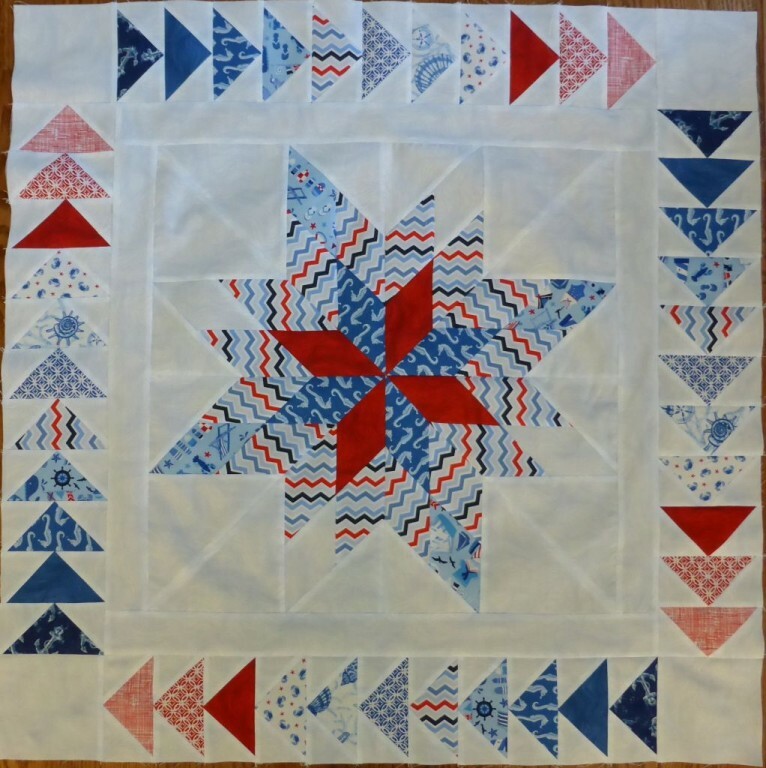 Started the 2015 Block of the Month thru Craftsy and now cannot find the rest of the classes. I still need November and December to finish my quilt. Any ideas about how I can get these last two classes? I’m so sorry, Marjorie, that you’re having issues getting those classes! Please contact CRAFTSY about this. I have no control over the dashboards of CRAFTSY. You might try downloading the entire class again. It’s free so it should be pretty easy!